THE CANADIAN PRESS -- VANCOUVER - Three Canadian companies have been ordered to pay roughly $2.5 million for selling knock-off Louis Vuitton and Burberry handbags in what a Federal Court judge describes as an "egregious" case of trademark infringement. 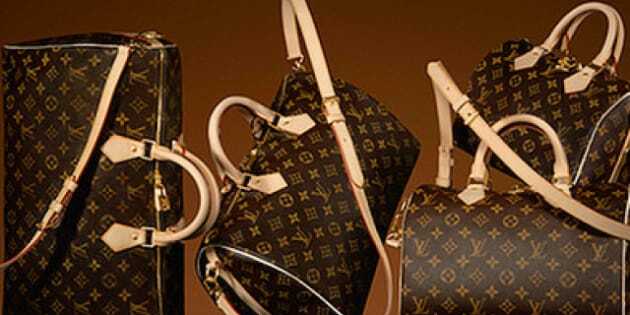 Vancouver-based companies Singga Enterprises Inc. and Carnation Fashion Company, along with Altec Productions of Toronto, were accused of importing, manufacturing and selling handbags bearing Louis Vuitton and Burberry logos. Louis Vuitton and Burberry filed their lawsuit after using private investigators for two years to visit warehouses and purchase fake handbags in person and online. Judge James Russell said all three companies were involved in large-scale importing, manufacturing and selling of fake handbags and took steps to cover up their actions. "All of the defendants' previous and ongoing actions are clearly knowing, planned and deliberate," Russell said in a written judgment posted to the court's website this week. "The defendants have also attempted to deliberately conceal or cover up their wrongdoings, avoiding dealing with unknown individuals, obscuring domain name ownership and switching websites, and/or hiding such goods from view of the public or anyone entering their premises." Neither Singga nor Altec appeared at hearings in the Federal Court last year, and neither provided any evidence to dispute the allegations. Both companies were accused of running the counterfeit operations out of storefront warehouses and online. They also worked together, with Singga sending customers to Altec and receiving commissions in return. Altec has continued to sell counterfeit bags online despite the ongoing court case, Russell said. "Given the egregious nature of their activities, the normal trademark and copyright profit or damages assessments would not be sufficient, and punitive and exemplary damages should be awarded," Russell wrote. "This is particularly true with the Altec defendants, who have blatantly continued their activities notwithstanding commencement of this proceeding, and have ignored the process of this court." Singga was ordered to pay a total of nearly $850,000 to Louis Vuitton and Burberry, including $200,000 in punitive damages. Altec was ordered to pay about $1.2 million, including $250,000 in punitive damages. Carnation owner Jessie Guo did appear at the hearings and admitted she was selling fake bags, though she insisted she wasn't familiar with Canadian trademark law. She also denied having any connection to Singga. Lawyers for the fashion houses said Guo had been co-operative during the legal process and described her operation as significantly smaller in scale than Singga and Altec. Her company was ordered to pay $390,000. "Guo gave me the impression that she may have learned her lesson and she expressed contrition for her past conduct," Russell wrote. "Guo obviously knew, however, that what she was doing was wrong, and yet she kept on doing it for several years and simply hoped that she would not be found out. The clandestine nature of her activities confirms this. There is no real excuse. She was perfectly happy to go on doing what she knew was wrong in order to make money at the expense of the plaintiffs' rights." Louis Vuitton adopted of a "zero-tolerance" policy for counterfeit goods in 2004, which has led to over 13,000 legal actions, 6,000 raids and about 950 arrests, according to the company's website.